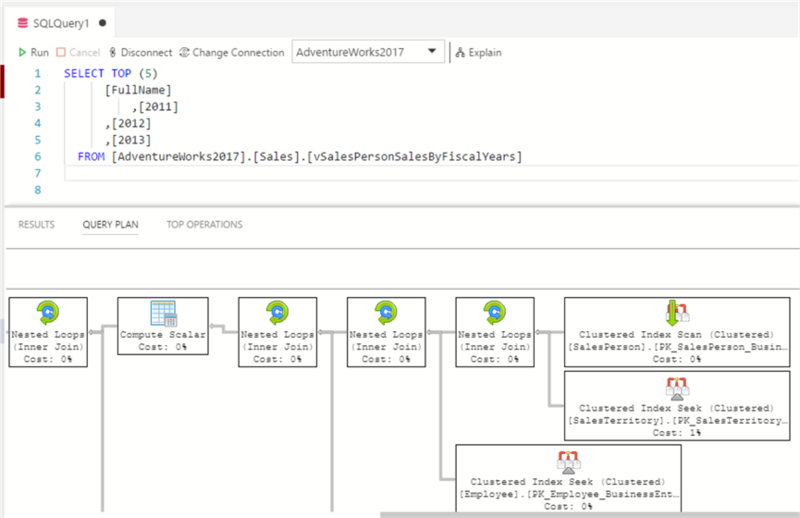 The graphical representation of SQL Server execution plans is easily accessible in the Management Studio but is hard to share because the predicate information is only visible when the mouse is moved over the particular operation (“hover”).... 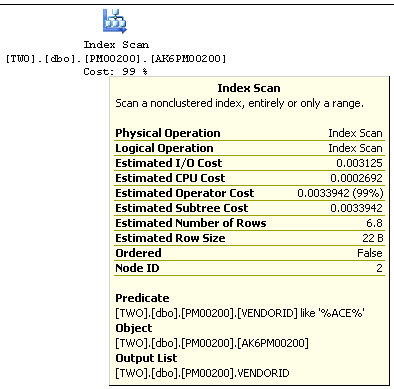 When taking a look at the Estimated Execution Plan of the Select operation, you see the following image. Looking at the plan we see several rows: Cached Plan Size – This indicates the amount of memory the plan believes the query will take up in the cache. Simply open SSMS, open a query execution plan file (.sqlplan) using File -> Open File, or drag a plan file to SSMS window. Once the file opens, right-click anywhere inside the tab (not necessarily on top of an operator) and select “Compare Showplan”. This works with any .sqlplan files you have, even from older versions of SQL Server. Also, this is an offline compare, so there's no need to... 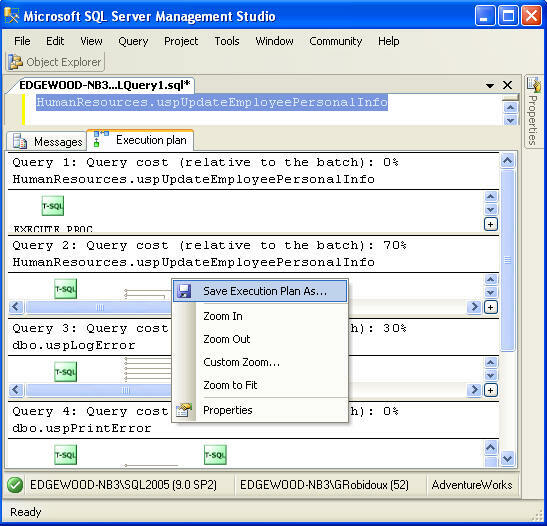 This work is done by SQL Server’s Query Optimizer, and the result is a query execution plan, or just “execution plan.” SQL Server will cache these plans so that they can be re-used in the near future if the same query is submitted again. Moreover, execution plan allows us to see additional information on every object of the tree structure, which can be used in further SQL optimization techniques. For this, you need to click on an object or simply hover a mouse over it.